In this chapter you will learn about the concept of module and how to overcome single inheritance limitation. In the previous chapter you learned that Ruby is a single inheritance language. We can have only one parent. 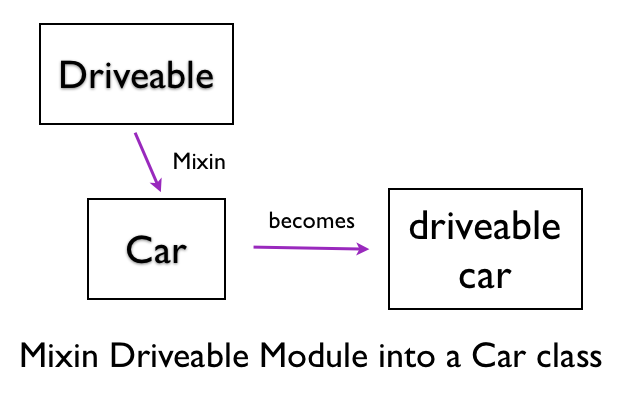 In this chapter, we will see how Ruby overcomes this limitation by using module. Module provides a way to share behavior. We can define methods in the module and instead of using inheritance, we can use the module to re-use code. This is the mixin concept. We can mixin multiple modules to our Car class. The include statement is used to mixin methods defined in a module into a class. 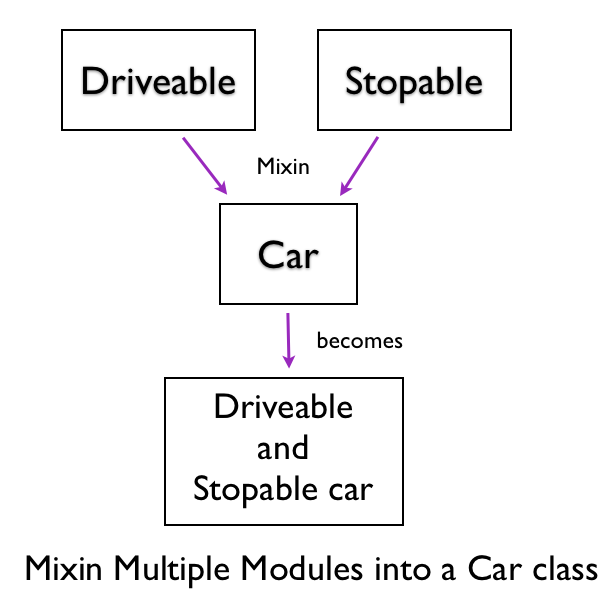 The mixed-in methods become instance methods in the class. What if we want a class method? We can use the extend statement to pull in the methods defined in a module as class methods in a class. The turn method is a class method because we don&apos;t need an instance of Car class to call the turn method. We use the Car class to call the turn method. In this chapter, you learned how to overcome the single inheritance limitation. You can define as many modules as you want and mixin the behavior into a class by using the include statement. We also saw how to use extend statement to re-use class methods.